However, the baseball hasn’t been all too great recently. The 2019 team is different from the 2018 team in that the 2018 struggles were early in the season. With the help of an experience-laden team, the Longhorns surged during conference play to take the Big 12 regular season championship and host a NCAA regional. The 2019 team is in the midst of its worst struggles. A young relief staff has been wildly inconsistent in recent weeks. Hitting has been spotty and inconsistent. Fielding remains a question. 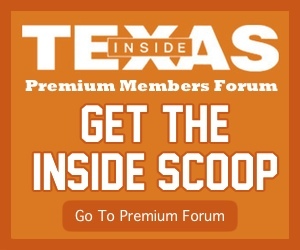 Those are just a few of the reasons why Texas dropped games in its recent stretch, including a game against Texas A&M Pierce described as winnable and one they gave away. Because the struggles last season were much earlier in the calendar, Pierce had more time than he does now to right the team. 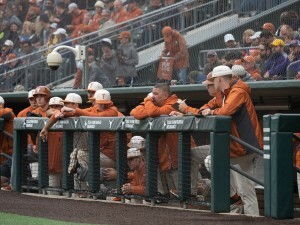 With six conference series remaining, Texas can’t afford to keep slipping. “It’s time for them to take ownership and be a little more accountable in their areas,” Pierce said. That message has been relayed to the team multiple times, and team leaders are trying to continue to live out that message. “The mindset would definitely be ‘be better at every aspect of the game,’” senior catcher Michael McCann said Thursday. “Defensively, on the mound, behind the plate, at the plate, be better at everything we do. We’re making a lot of minute mistakes that are costing us big runs, big losses later in the game. Those little things have to stop, including walks and things like that. 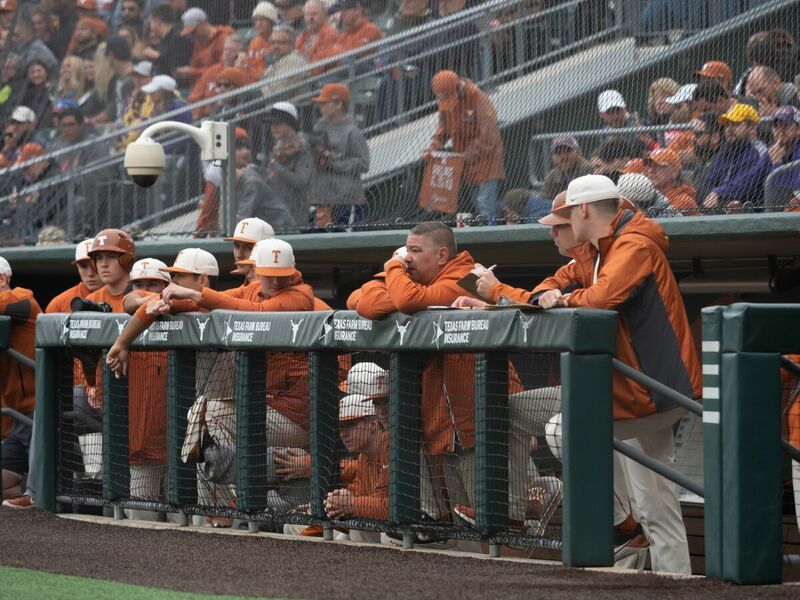 Texas’ first opportunity to play better baseball comes this weekend against Baylor, who the league’s coaches picked to finish second this season. Starting pitching will be pivotal. Texas has gotten good production from its weekend rotation, but Baylor’s Jimmy Winston, Paul Dickens, and Hayden Kettler are a formidable trio. Because of the bullpen woes, Pierce said he could see his starters extending into games more to limit the number of innings the bullpen is responsible for. It starts with the starters, but improved pitching, fielding, and hitting could put this team in a position to win the Big 12 rather than simply contend or serve as an also-ran. This weekend is a big test to see where Texas will find itself. “The key for us is to go in there, play a solid series, and give ourselves an opportunity to win games,” Pierce said.